Created in the 1830s by Worcester chemists John Wheeley Lea and William Henry Perrins, Worcestershire sauce has long been a staple of kitchen cupboards and bar larders. Its seemingly magical ability to hit all flavor points—savory, salty, sweet, sour—comes from a blend of ingredients like malt vinegar, tamarind, garlic and citrus, plus the all-important anchovies. And making it at home isn’t as intimidating as it might seem. Kresha Faber, founder and editor of the blog Nourishing Joy, offers an easy recipe from her book DIY Pantry that boasts that unmistakable zippy funk. “No kitchen is complete without a bottle of this ubiquitous salty, savory sauce on hand,” Faber notes. 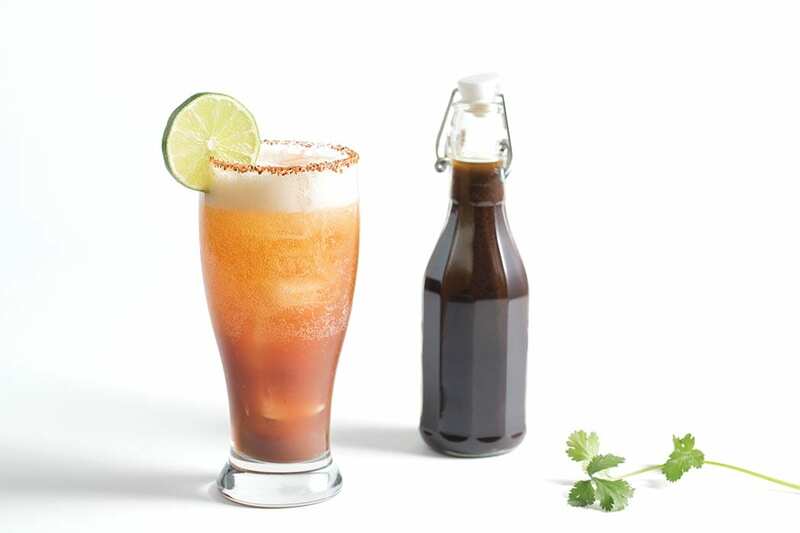 Where would your Bloody Mary (or Michelada or Red Snapper) be without it? Whisk together the vinegars, molasses, fish sauce, tamarind paste, soy sauce and onion juice (or powder). Set aside. Preheat a small, dry sauté pan over medium heat. Toast the spices until fragrant, about 1 minute. Pour into a small bowl and set aside. In a small saucepan, heat the oil over medium heat and sauté the shallots until transparent and beginning to brown, 2–3 minutes. Add the garlic, ginger, anchovies and reserved spices and continue to sauté just until fragrant, about 30 seconds. Add the vinegar mixture to the saucepan and scrape up any bits on the bottom of the pan. Bring to a full simmer, then remove from the heat and let cool completely. Strain through a fine-mesh strainer into a bowl and stir in the lime juice. Pour into a sealable jar or bottle for long-term storage. It will keep in the refrigerator for 1–2 months. This recipe was excerpted from DIY Pantry by Kresha Faber. Copyright 2014 by F+W Media, Inc.